...E-I-E-I-O. And on his car he had some wheels. E-I-E-I-O. With a wheel, wheel here and a wheel, wheel there. Here a wheel, there a wheel, everywhere a wheel, wheel. Little Ivor had a car, E-I-E-I-O. He's been obsessed with them since the age of 9 months. Where the attraction, the intuition to gravitate toward them came from, his parents know not. Perhaps it's the wheels, round and black. They say black and white are the colors babies see most clearly early on. Perhaps it's their mobility, their ability to move and roll fast and faster. Perhaps he was simply born to love cars and there is no other explanation needed. Whatever may be the reason, Ivor LOVES cars. Always in each hand is a car. It doesn't matter if the car is big or small, green or red, wood or metal, runs or not. He loves them all. He even loves sharing them with his sister or anyone who is willing to sit and roll them back and forth, back and forth, back and forth with him for hours on end. You won't find Ivor going anywhere without one of his cars. He goes for naps with them, he goes for meals with them, he goes to the park with them, he goes for car rides with them. On cold winter days, when he takes his sister for sleigh rides, he even takes his cars along. Ivor tells his mummy and daddy that when he grows up, he wants to race them or fix them or both. 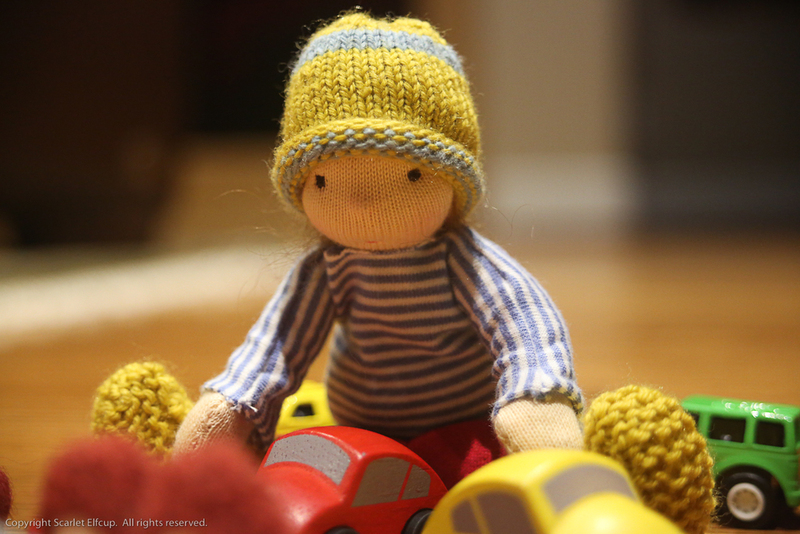 He's a strong-willed, keen little boy who has always known what he wants. That's Ivor...small, stubborn, bright, creative, outgoing, playful, inquisitive. 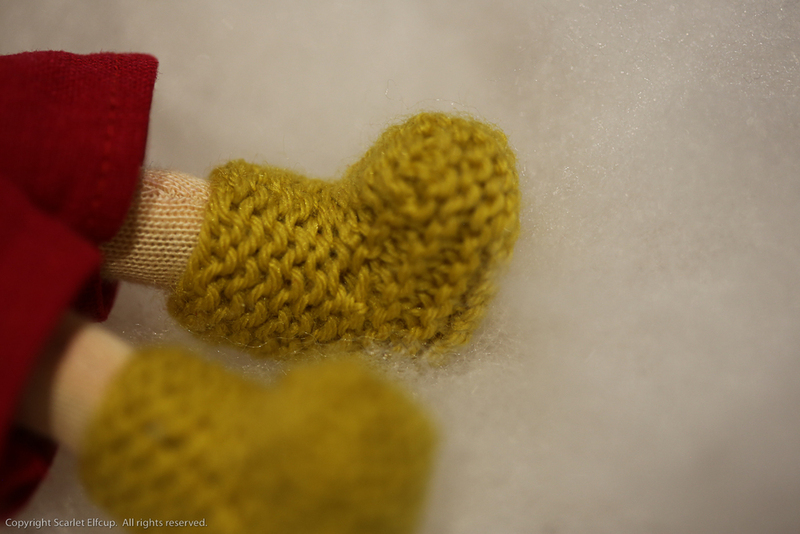 Ivor was inspired by the little man in my life, the big man in my life and a talented British auto mechanic nearest and dearest to our hearts, Mr. J.R.
Ivor is a Wee-Bee Mini Elfcup. He stands less than 6" (15 cm) tall. He is made with all natural materials. 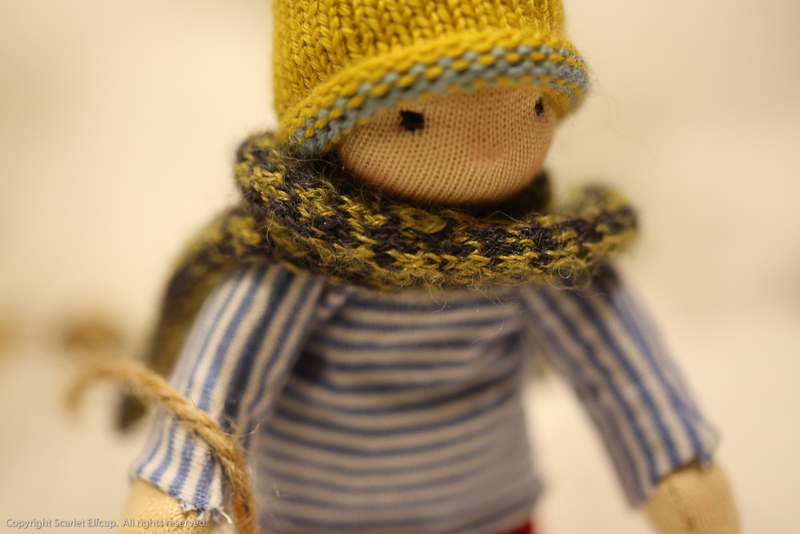 His doll skin is made with premium quality cotton jersey imported from Europe. He is firmly stuffed with bio-wool made in Oregon. His seams are sewn twice for reinforcement. His hair is made of mohair yarn. He has embroidered facial features. 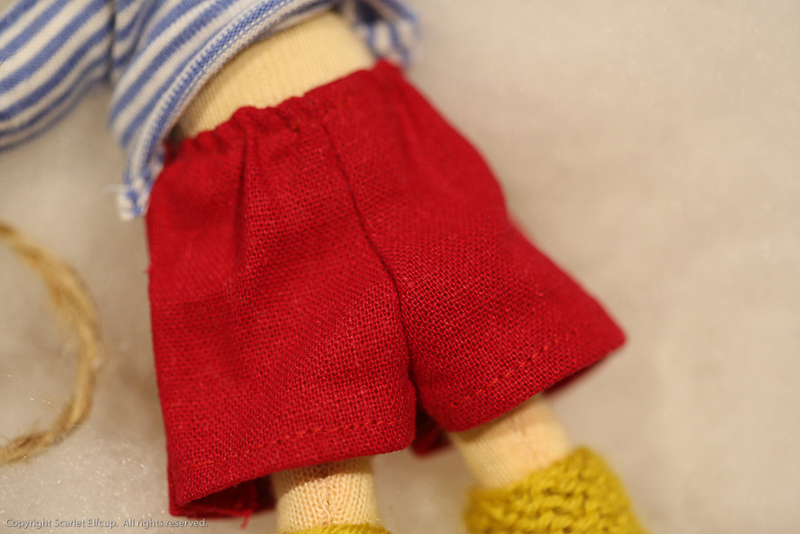 His cheeks, nose and various body parts are blushed with red beeswax. 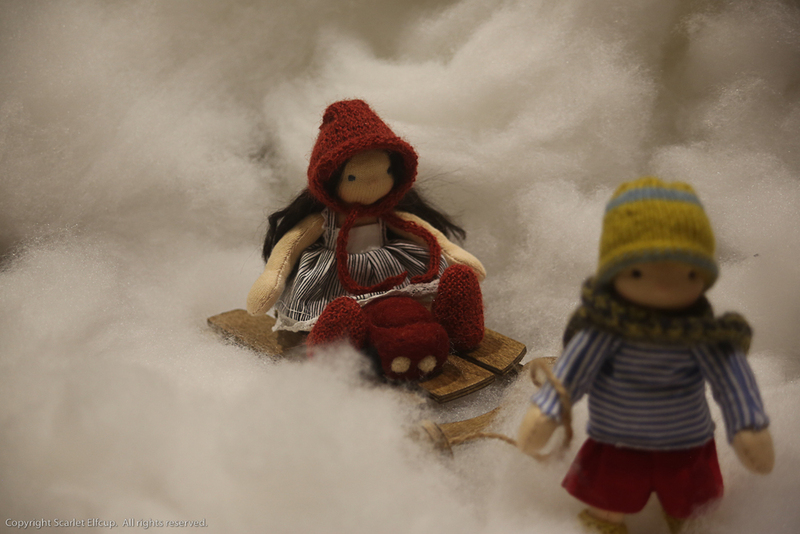 He is a sitting doll with sewn joints that are made flexible for easy movement and changing of clothes. He also has a belly button and a bum. 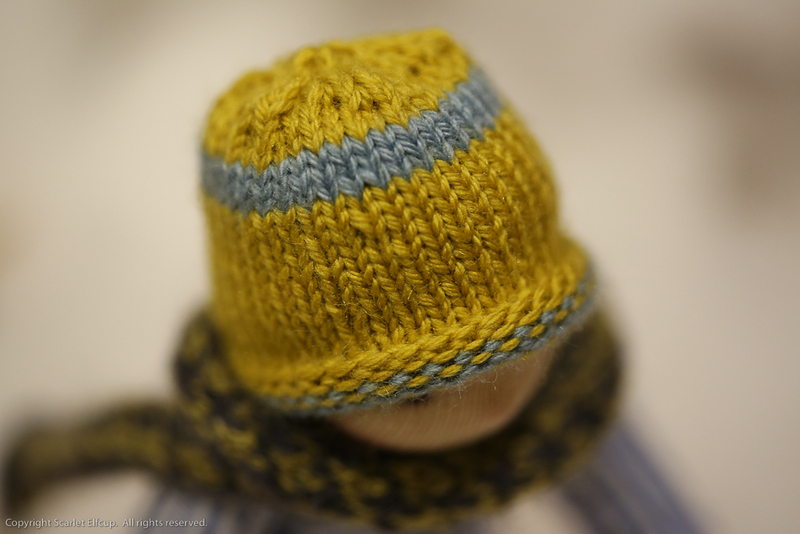 Ivor comes wearing a hand knit beanie made with Cascade Heritage yarn, a 75% merino wool/25% nylon blended yarn. His houndstooth scarf is hand knit with Isager 100% alpaca yarn. He wears a blue and white striped cotton shirt. He has on scarlet linen pants. His boots are hand knit with Cascade Heritage yarn, a 75% merino wool/25% nylon blended yarn. 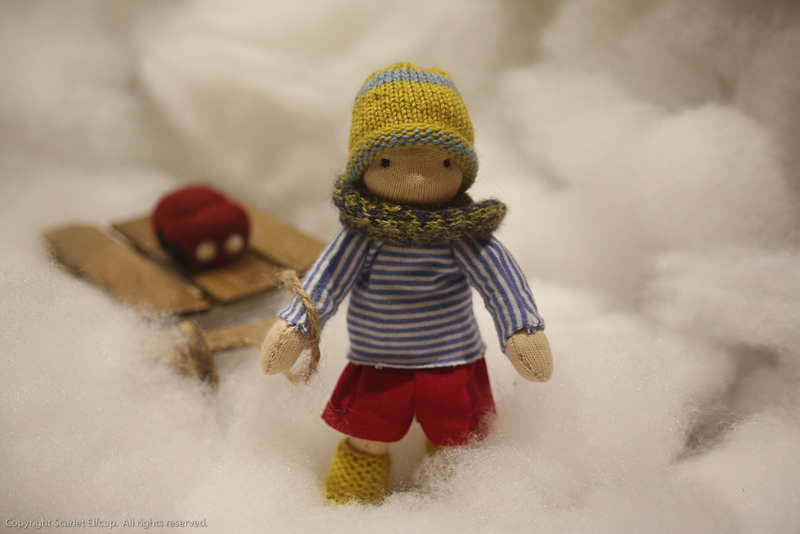 Ivor comes with a wooden hand painted sled. The sled measures about 8" long (20 cm) and 1" (2.5 cm) tall. And of course, Ivor must have his car along with him. 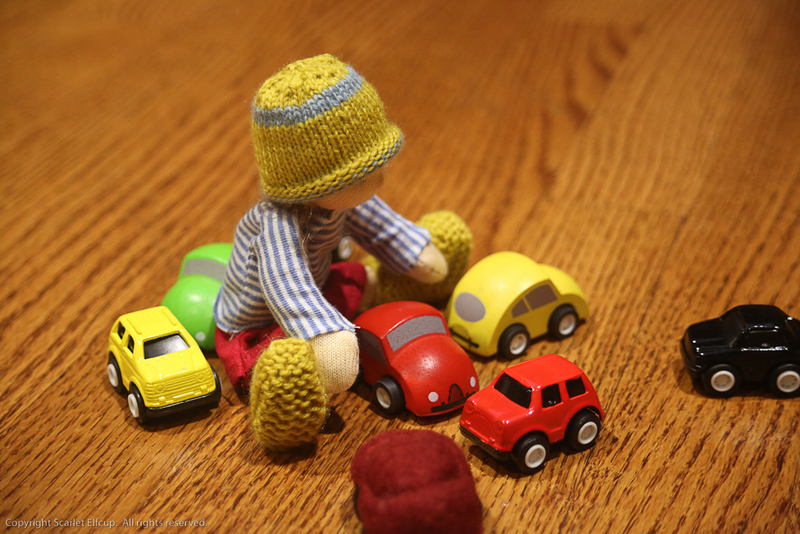 The car is needle felted with 100% wool roving and measures about 2" (5 cm) long and 1" (2.5 cm) tall. Ivor is recommended for ages 4+ due to the nature of his delicate design and the small parts on him that may pose as choking hazards for children who still enjoy exploring with their mouths. If you are interested in bringing Ivor home, he is now available in the Etsy shop.